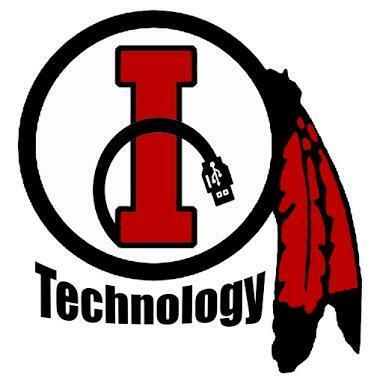 Indiana Area School District continually develops and infuses meaningful instructional technology into the education of PreK-12 students. Properly utilized instructional technology should engage the student and facilitate learning of curriculum. Resources in the form of devices and digital tools are essential as is sustained professional development. Please peruse our site to see just what is happening at IASD. The Indiana Area School District (IASD) is committed to its shared technology vision of transforming learning and empowering learners. This vision includes all learners but at the heart is the student. Student-centered learning is just one of The ISTE Essential Conditions IASD uses to leverage technology for learning. All students will receive a district-provided Google account and will have varying access to Google Apps for Education (GAFE) and other digital tools based on developmental and age criteria. IASD values student privacy and employs best practices to adhere to Children’s Online Privacy Protection Act (COPPA) and Family Education Rights and Privacy Act (FERPA). Network and device filters are utilized across the district. While the district does not monitor student files or email correspondence, it is important to note that created documents and correspondence via email or the Chat feature of Google Hangouts are archived and will be accessed if the district suspects a violation of the Internet, Telecommunications Technology and Electronic Media Usage Policy. Several links regarding student privacy and security, as well as other informational resources, are listed on the IASD website. District-provided Google accounts do NOT include birthdates, social security numbers or home addresses. The district-provided Google account log-in structure, third-party apps/vendors, privacy and security agreements, as well as specifics regarding GAFE access by grade level, are available on the district website under the “Technology” tab. IASD is reshaping instruction and learning for the 21st century and beyond, employing soft skills and the 4C’s of education. These include: communication, collaboration, critical thinking, and creativity. These digital tools provide enhanced instructional strategies and improved student engagement. Student engagement is essential for academic growth. IASD is proud to offer students cutting-edge tools to empower their learning. Students in grades 9-12 receive a Chromebook for educational purposes as part of a take-home model. Families are provided with in-house insurance options and a buy-out program. Families may also opt for their child to partake in a pick-up/drop-off model. The junior high school enjoys a classroom-based 1:1 model. Students have Chromebooks readily available in all core subject areas. Students in fourth and fifth grade will have Chromebooks readily available. Each core subject teacher will have a classroom set for daily use. Each K-2 classroom has a station of devices that include Chromeboxes and Chromebooks. The PreK classrooms are also equipped with a Promethean Table for station work with up to four students at a time.